Ahsoka's new look. Ahsoka is getting a new look.. HD Wallpaper and background images in the étoile, star Wars: Clone Wars club tagged: star wars clone wars ahsokatano. Ahsoka is getting a new look. Really? Or is that just from a comic or somethin? I would love it if she had a new outfit! Nope. We'll be seeing her in a new outfit along with a second lightsaber sometime later this season. Her new look is supposed to show up in episode 10 I do believe. 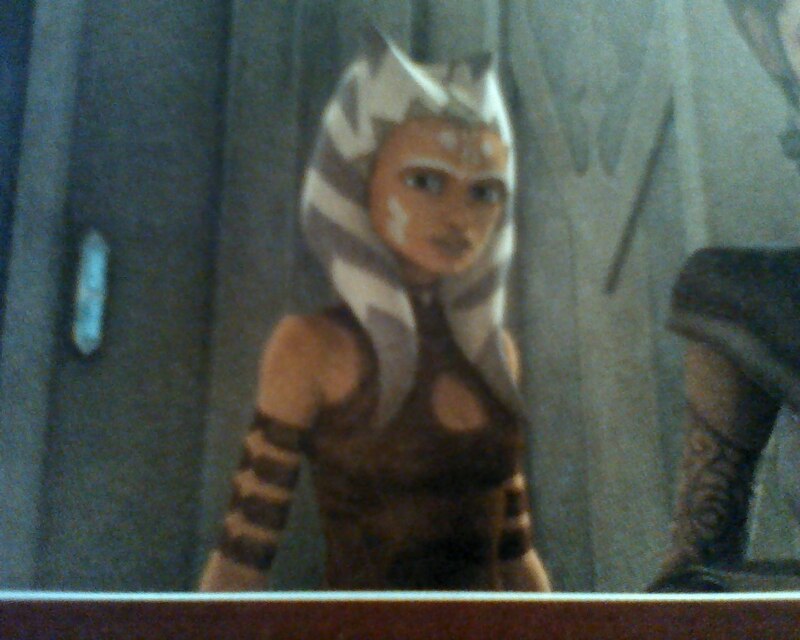 Apparently at least a year has past in The Clone Wars since Ahsoka looks older now. Also Anakin and Obi Wan are supposed to be getting new outfits as well, at least that's what I read on another website. I hear Ahsoka's new oufit will apear on the episode that air's on November 19th. If I had cable I wouldn't be able to watch it that night unless I recored it. That would be a lot of sitting and watching for me. First the Harry Potter movie, the a mini play, then that episode!! If I can watch it that night, I don't have cable. LOL why am I rambling??? 13 days till we see the new outfit!!! Is there a link someone can post so I can read what yall read? What do you want to read? I'm not sure what link you're looking for. I found that information in the SW magazine and wookieepedia. BTW 9 more days till the new Ahsoka outfit!!! I wanna go opening night to the Harry Potter movie but my sister is taking me and she can't. One she can't drive that late at night and she doesn't want to take me then. But I'm going opening day. Yay nine more days!!! The new outfit is really cool! Ahsoka's new look is really cool! She looks more grown up but still has her charming personality to match with Anakin's. His new look is cool too.